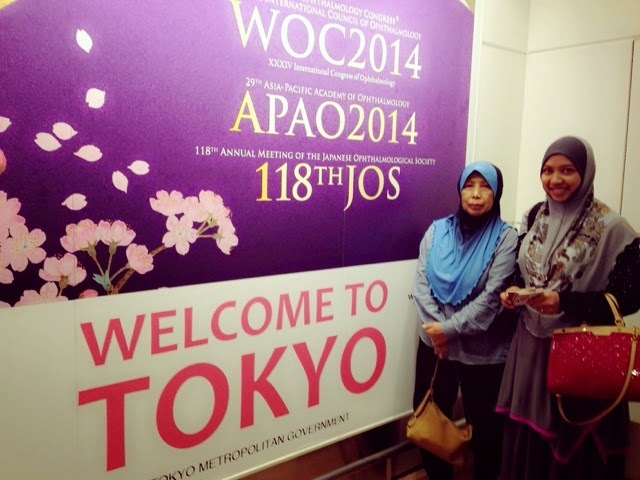 Alhamdulillah I am writing this from Motoyoyogicho, Tokyo! Konichiwaaa! It is 9.30pm local time but it seems very quiet already, my parents in deep sleep, warm in their blankets with a heater over their heads. How do I get here? With my parents? Well, actually this is a planned visit. I was planning to go to the ASEAN Ophthalmology Society meeting in Bangkok back in February 2014 but as the whole of Thailand was facing a difficult political situation, the whole meeting was called off. I was suppose to bring my parents to Thailand but since that was cancelled, I chose the nearest ophthalmology conference, which is the World Ophthalmology Congress (WOC 2014) here in Tokyo, held from the 2nd of April to the 6th of April. 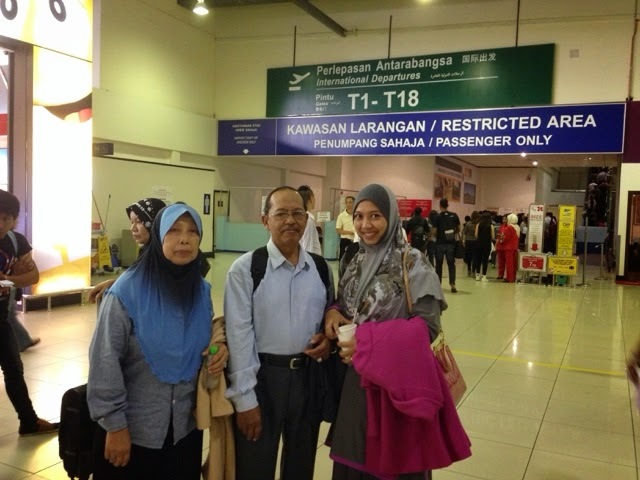 We took the Air Asia flight from LCCT to Haneda on the 1st of April. There's a daily flight and we managed to get a reasonable price for the airfare, about RM1000 per person. 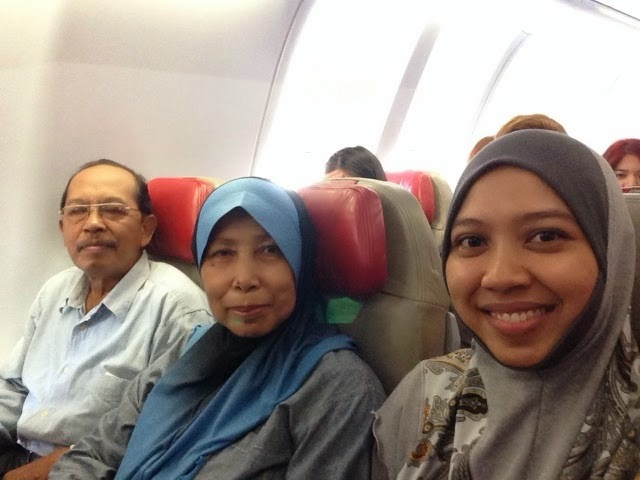 The flight took 7 hours and to be honest, this was my very first long haul flight with my parents. The last time they came over to Ireland, I was just waiting for them to arrive in London, before we took a tour to Paris & then back to Dublin. As we have prebooked our luggage bags & meals, the whole flight was not too bad. We arrived at Haneda Airport around 9.40pm, but only after 50 minutes we managed to disembark the aircraft as we arrived ahead of schedule, the parking bay was occupied. The queue at the immigration was UNBELIEVABLY long but Alhamdulilah we were given a special line as I was accompanying 2 elderly parents. At the custom, we prayed & we prayed so that the officer will not confiscate our food supply, and to our relief, he didn't! So double Alhamdulillah! I was pleasantly surprised to see a huge banner from the organizing committee of the WOC 2014 as soon as we stepped out of the custom inspection area. My parents at Haneda Airport. The apartment is on the 8th floor, but there is a lift. The unit is rather small but sufficient for the 3 of us, and fully furnished for all our needs, from a functioning kitchen, cutleries, cooking utensils, a washing machine, a huge refrigerator and most importantly, a portable wifi! We settled down and get to bed at around 3am, just to wake up again 2 hours later for our morning prayers. In contrast to Malaysia that the prayer time starts at 6am and ends at 7am, during spring in Tokyo, the prayer time starts at 3.50 am & ends at 5.20am. Having only 2 hours of sleep, I tried to doze off again before heading to the conference but the sun was shining ever so brightly, that I found it quite challenging to do so! 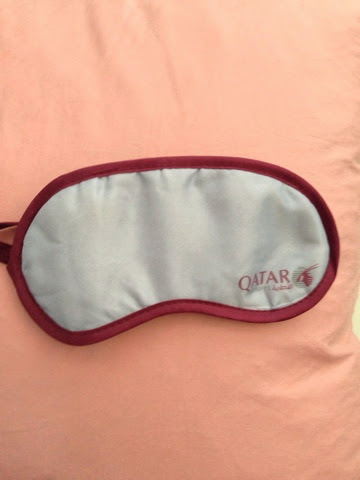 Thankfully I got an old sleeping mask from Qatar Airways, to the rescue! I didn't manage to wake up at 7 to go to the conference at 8, but nonetheless, I managed to get up & get ready, bearing in mind I had paid RM1700 for the conference fees, so might as well I make a full use of the oppoturnity to learn! I'll tell you about the conference in my next entry in shaa Allah.